I love to decorate my home for the holidays, and I love to have all different kinds of decorations. One Easter decoration that I enjoy displaying is my washcloth origami bunny collection. Since our first Disney cruise my family members have been huge fans of the art of towel folding. Getting a new towel animal in our stateroom every night was so much fun. We learned how to make a few of the origami towel designs, but it wasn’t a talent we did anything with. 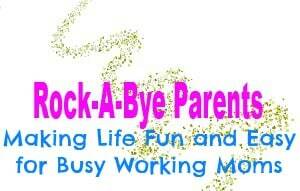 That is until many years ago when we helped out with my cousin’s baby shower. My cousin was due in June, so we threw her a baby shower in the spring. That lead to lots incorporating spring animals like bunnies into the theme. We came up with a lot of cute things to use for decorations including origami bunnies made from washcloths. Best of all they served a dual purpose. Not only did the bunnies help decorate the tables, but every guest got to take a washcloth origami bunny home with them at the end of the shower. We had so much fun making the washcloth bunnies that we went a little overboard and had a lot left after the shower. That didn’t bother us though because it left us with several to keep for ourselves. Each year my mother and I set out our washcloth origami bunnies as decorations at Easter time. 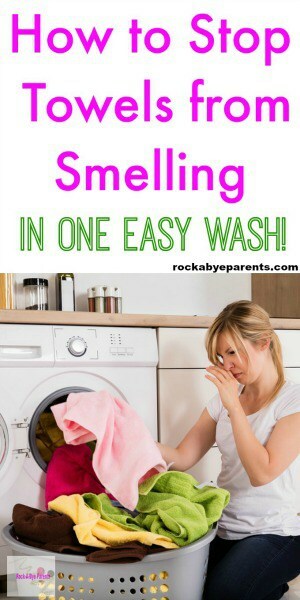 Washcloth – You can use any color you want. 12 x 12 is a good size to work with. Ribbon – Again any color works, although it’s best to go with a color that is at least a different shade from the washcloth color, but doesn’t clash with it. You’ll want a thin ribbon cut to around 18 inches long. Since this is an origami project it actually requires only a few supplies. Now in traditional origami you wouldn’t use anything to help hold the shape together, but sometimes folding a washcloth, or towel, needs a little extra help. Plus the rubber bands help the origami bunnies keep their shape until you take them apart. That makes them easy to store and set them out for decorations year after year. 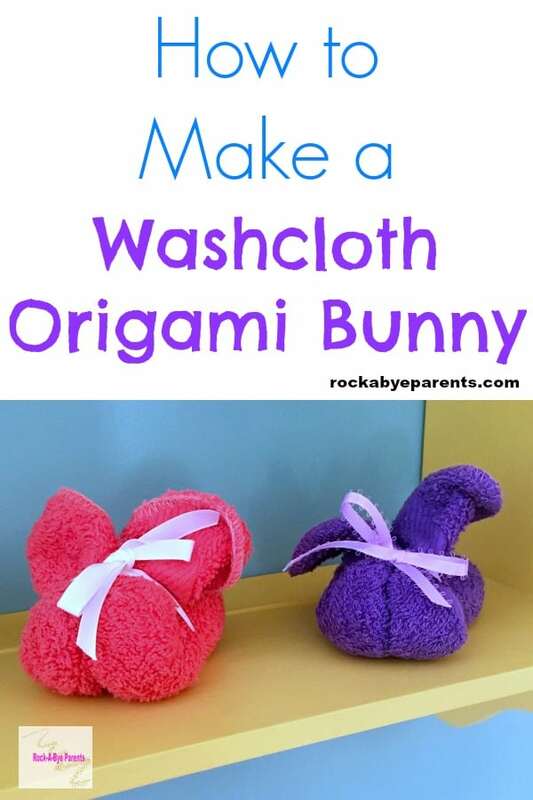 Making the washcloth origami bunny is actually pretty easy and it only takes a few minutes to do. First thing you should do is lay the washcloth on a flat surface with one of the corner points facing you. Then grab each of the side corners and roll them tightly. You can start with the right or the left corner. It doesn’t matter. Just continue to roll the sides until the rolls meet in the middle. Now you want to grab the corner that’s facing away from you and pull it towards you. You want this to basically fold the washcloth in half so both of the ends are lined up together. They should look a bit like floppy ears because that’s what they’ll become. Once you have the ends in the spots you want take one of the rubber bands and put it about a third of the way up the washcloth from the rounded edge. The side that isn’t the two edges. At this point you’re actually almost done! 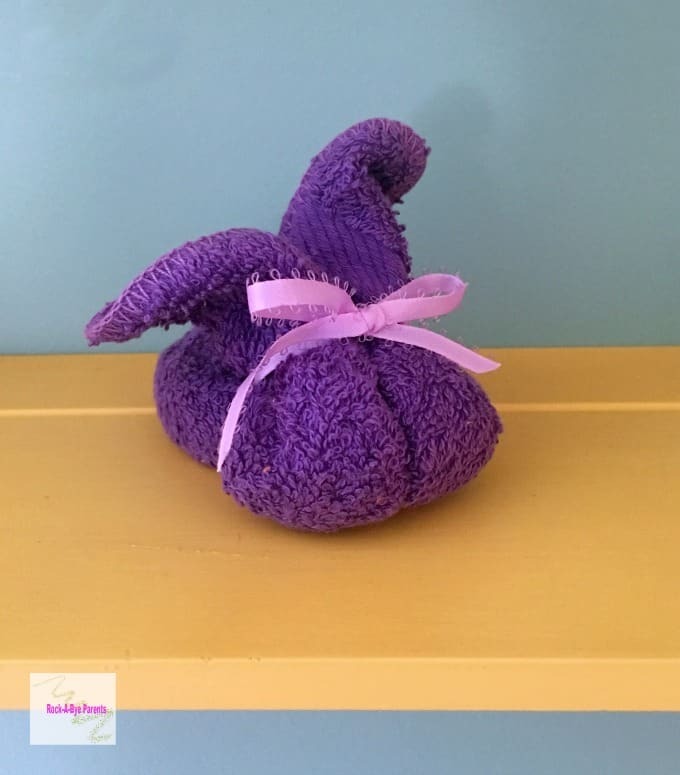 To finish the shape of your bunny pull the loose floppy ears part of the washcloth back towards the curved side. Then put another rubber band around it. The two rubber bands should be at basically the same spot although the new one might be just a little farther forward. All you have left to do now is to polish off the look of your bunny. To do this you’ll want to tie the ribbon on. You want to wrap it around the rubber band area to keep any rubber band spots from showing. You’ll also want to pull on the ears just a tad to get them to stand up well and be in the exact place that you want them. Although if you made the side rolls tight enough it should all look fine. Once the ribbon is on and the ears are to your liking you technically are done. You can choose to give your origami bunny a bit more personality though. This is where the optional supplies come in. You can use them to give your bunny eyes, a nose, and a tail. You’ll want to make sure you have a hot glue gun on hand to attach these items. Adding them can make the origami bunnies really cute, but they honestly look nice either way. Now your washcloth origami bunny is ready to be set out with your other Easter decorations! They are very easy to store after Easter as well. I simply put mine into a large gallon sized baggie and put them in the storage tub that has all of our Easter stuffed animals. Happy towel folding! 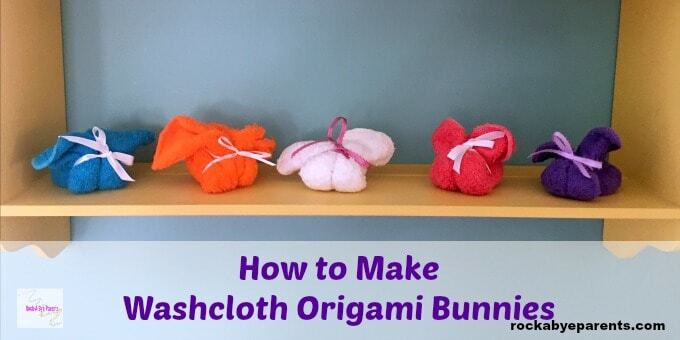 Want to know how to make a washcloth origami bunny? 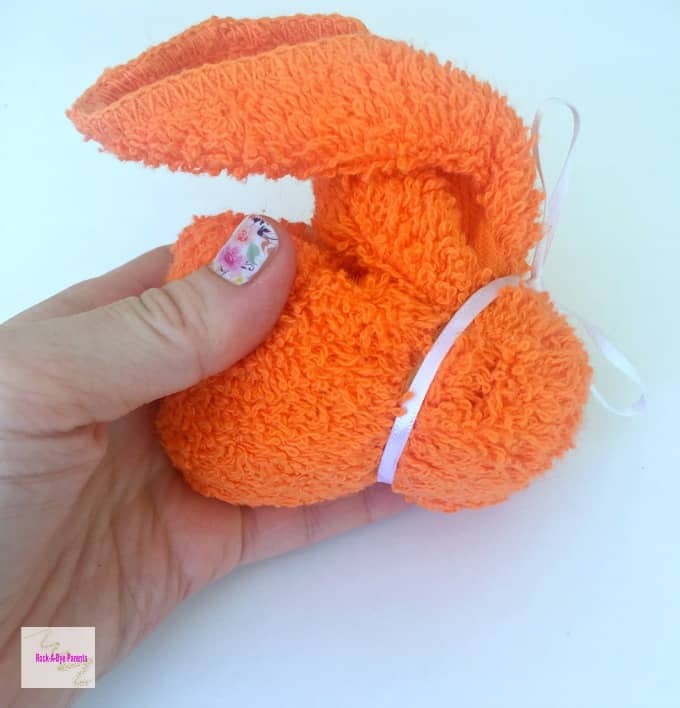 These adorable washcloth bunnies, also known as boo boo bunnies, are very easy to make and make for great Easter decorations or favors for a spring party. Lay the washcloth flat with one of the corners pointing to you. Roll the outer corners in from each side until the rolls meet in the middle. Fold in half in the middle so both pointed ends are pointed in the same directions. 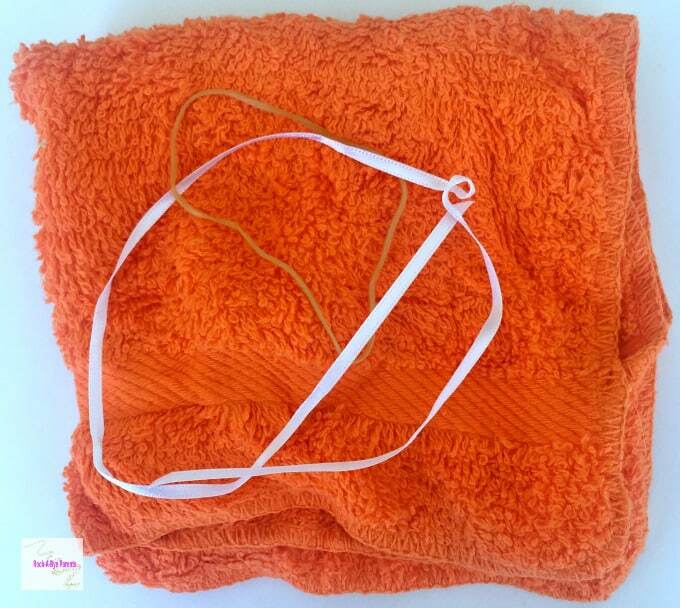 Place a rubber band about a 4th of the way up the rounded area of the washcloth. Take the pointed ends and bend them back towards the rubber banded area. Place another rubber band to hold the ears in place. This rubber band should be placed in about the same area as the first one. 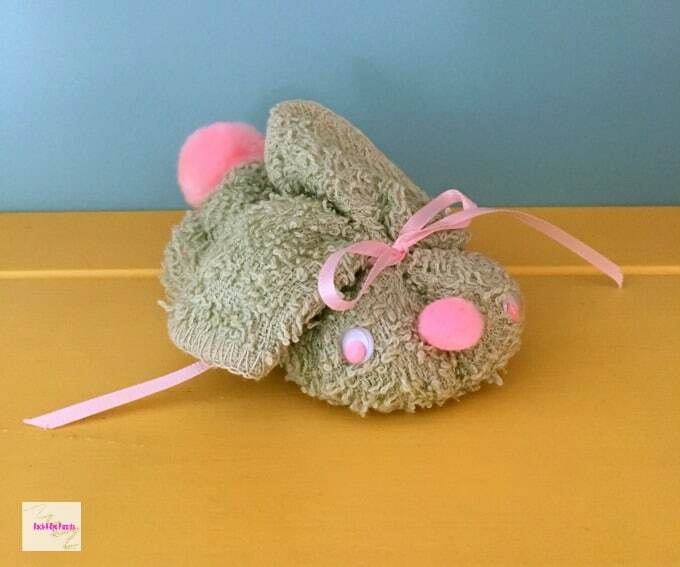 Wrap the ribbon around the washcloth bunny in the same place as the rubber bands to hide them, and then tie it into a bow. Too cute! I love these bunnies! These are all so cute the kids would love making them for Easter great school craft too. These are very cute and would be a nice spring gift for friends. 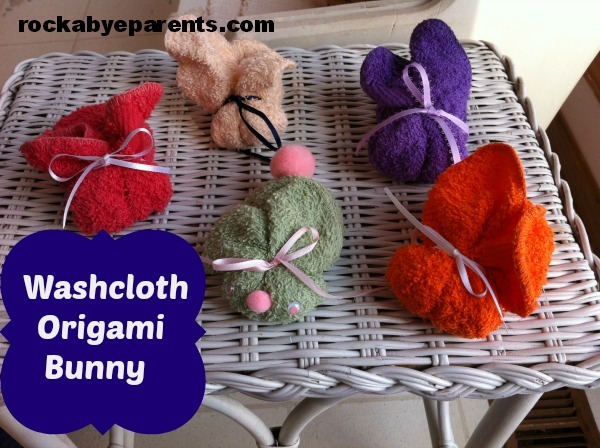 I like the different colored washcloths–gives the bunnies character! What a cute and easy little craft to do for Easter. Would be a great one for preschoolers (no mess). Hi Elizabeth. Thanks for posting this on Pintastic Pinteresting Party. These are so cute. I have had one for probably over 20 years. I keep it around as a pattern, always thinking I am going to make some again, but I never seem to get it accomplished. Thanks for sharing. How adorable. My mother-in-law makes these with an ice cube in the middle as a boo bunny. Thanks for sharing at Inspire Us Thursday on Organized 31. Someone else said the same thing to me Susan. 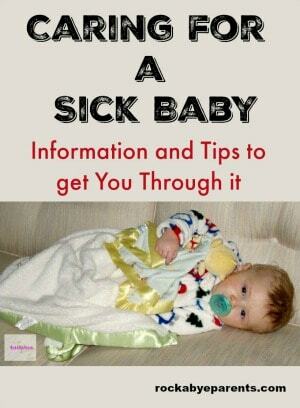 I never would have thought to use it as a boo boo bunny, but that really is a great idea. What a fun idea! 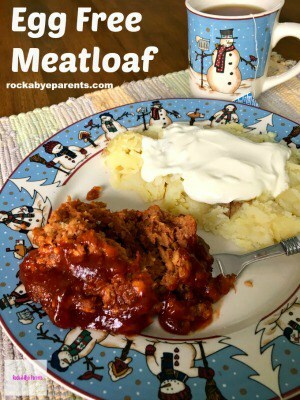 Thanks for linking up to Sweet and Savoury Sunday, stop by and link up again this weekend! So cute! I’m visiting from SITS Sharefest. What fun! 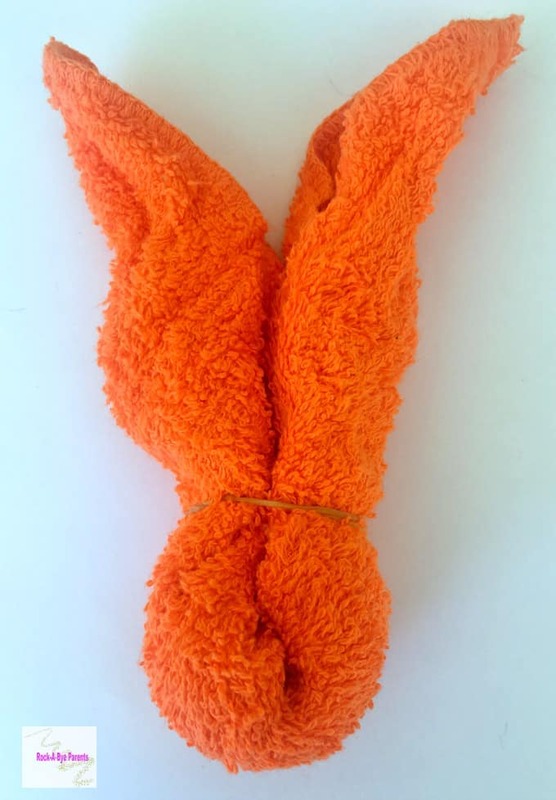 Believe it or not, a flight attendant gave one of my kids a folded bunny washcloth once on a flight. It was so sweet. That’s so great! It’s little things like that can really add to a trip, and especially the memories you have of it. This is cute, I can totally see the kids enjoying putting these together. We had some of these when I was a kid. I called them booboo bunnies. If you put a plastic egg in the opening of the back, it can hold a nice cube in it and be used for ouchies! So cute! These are so cute! And I LOVE the idea of sticking one in an Easter basket! So cute. i think i need to add one to my daughter’s Easter basket. They would be perfect for a basket gift. I bet your daughter would love it. They’re just so fun and cute.